Blossoming flowers and ripening fruits are an indelible part of every spring and summer. 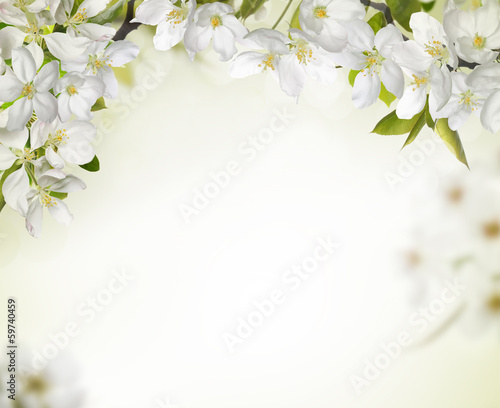 The beauty of the seasons can be underlined by pure whiteness of cherry blossoms dominating on the photo wallpaper. Empty space stimulates imagination. It will make you contemplate in your comfortable chair in the living room.